Back in December I was up a VAFB for a launch and had an afternoon off. I decided to take my bike to the north base and ride along the coast. IT was a lot hillier than I thought, and one hill was huge and long. After I got to about 35MPH I couldn’t keep up with the pedals, so I just tucked in and went for it. The last time I looked at the GPS it said 48MPH. 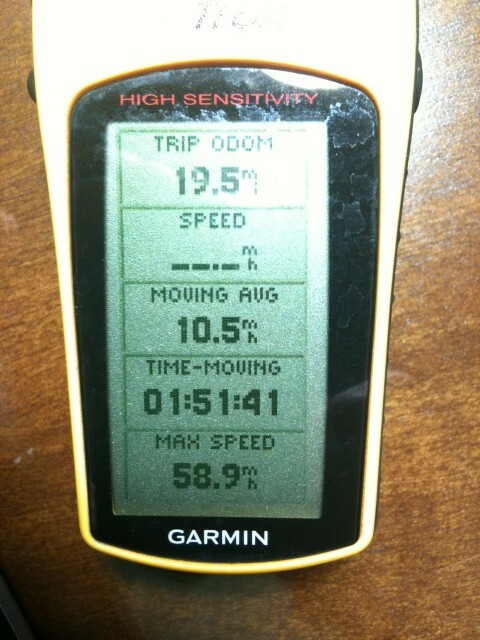 Later when I got back to the hotel I checked the max speed on the GPS and it was a WHOPPING 58.9 MPH!